Okay, let’s be honest. Valentine’s Day, whoever there is a partner, whoever does not, does not matter, it never comes on a good time. It’s like the middle of the week, the workplace does not recognize it, and it’s a pity, because if you don’t make time for Valentine’s Day, then your partner thinks you don’t care, and that leads to a crisis and anger. No, it’s not. No one cares about Valentine, but we do care about the opportunity for love. 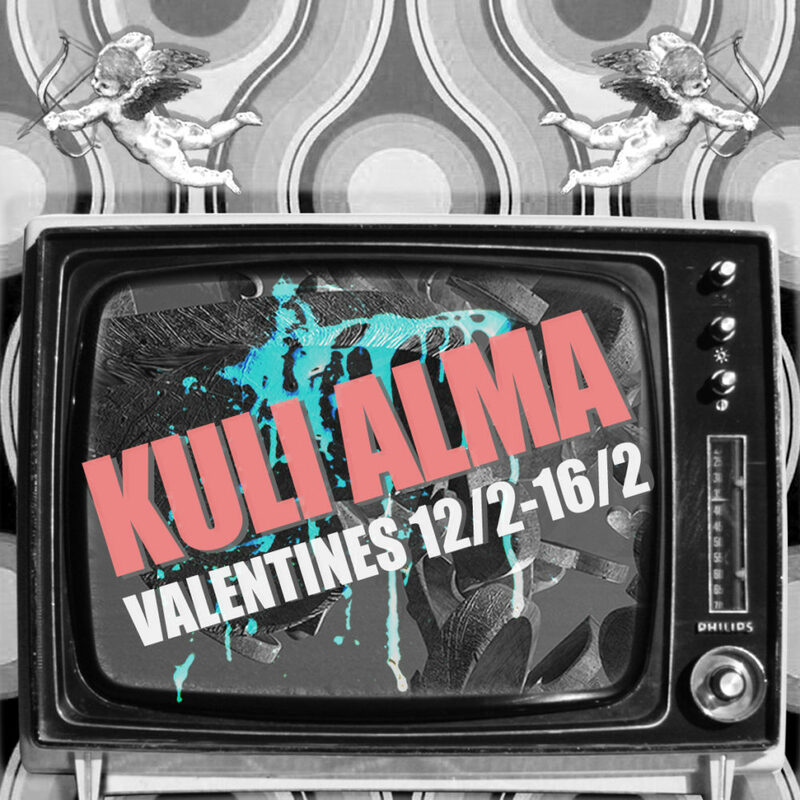 So Kuli Alma is having five days of Valentine’s Day! five days! So you can celebrate love whenever you want! And kisses. Kissing is fun. What will be in Kuli Valentines? A lot of love and parties. Tuesday till Saturday 12-16.2 with lots of shows and parties with three dance zones!